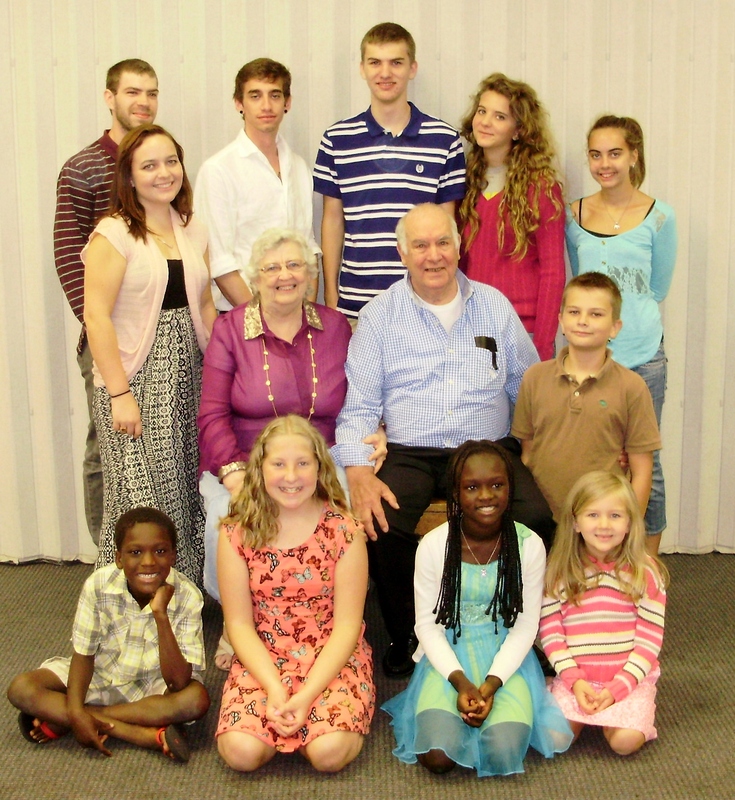 I have 15 grandchildren and I love each one of them! I have no favorites. Let me make that clear. Andrew, Matthew, Kaleb, Tyler, Annie, Max, Megan, Haleigh, Miller, Sydney, Elmise, Isabella, Mason, Armon, and Maddie. In this picture, taken two years ago, there are eleven of the fifteen. 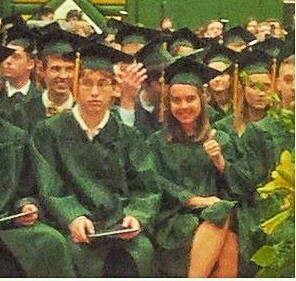 Top row from left: Matthew, Kaleb, Miller, Megan, and Haleigh. Center row from left: Annie, Me, Grandpa, and Mason. Front row from left: Armon, Bella, Elmise, and Maddie. Missing are: Andrew, Tyler, Max, and Sydney. Haleigh lived next door to me her entire 18 years! We were at the hospital when she was born. She was a tiny preemie, weighing a little over four pounds. This was her dedication day. 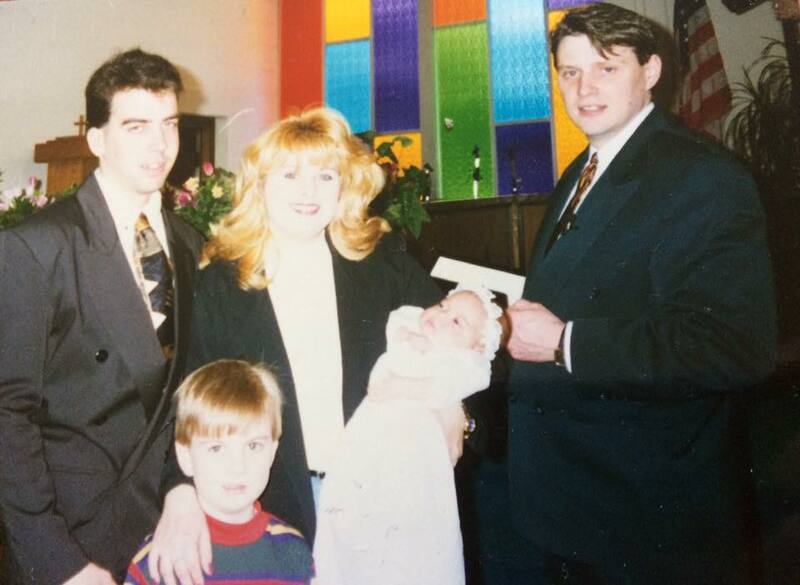 The picture is of Rob and Jessica, Tyler, Haleigh, and Pastor Dave. I made Haleigh’s dress, as I did for some of the other granddaughters, Sydney, and Isabella. Megan and Maddie wore the dress that I had made for my daughter, Christy, when she was dedicated! So, since Haleigh lived next door, of course, we’ve been close. We have shared so much of life together. She was free to run through the woods to Grandma’s house and has confided in me. In July of 2014, Jerry and I were at our family camp. Haleigh was with her family on a vacation. Every morning at camp we had a missions hour, which I always attended. The first morning Conference Superintendent Paul gave out slips of paper to everyone, instructing us to write our name on the paper and turn it in. Every day we were to do this. A name would be drawn at the end of the week and that person would be given a check to send them to a mission field! However, as I began writing my name on that first day, the thought came to me that I should write Haleigh’s name, not mine! So I did. Every day. Haleigh’s name! On Friday, guess whose name was picked! Haleigh’s! She chose to go to Haiti! I chose to go with her! Her way was mostly paid: $1000.00! Mine was not! But I felt and still feel this was of God. Excitement mounted throughout the year as we prepared for this exciting trip. 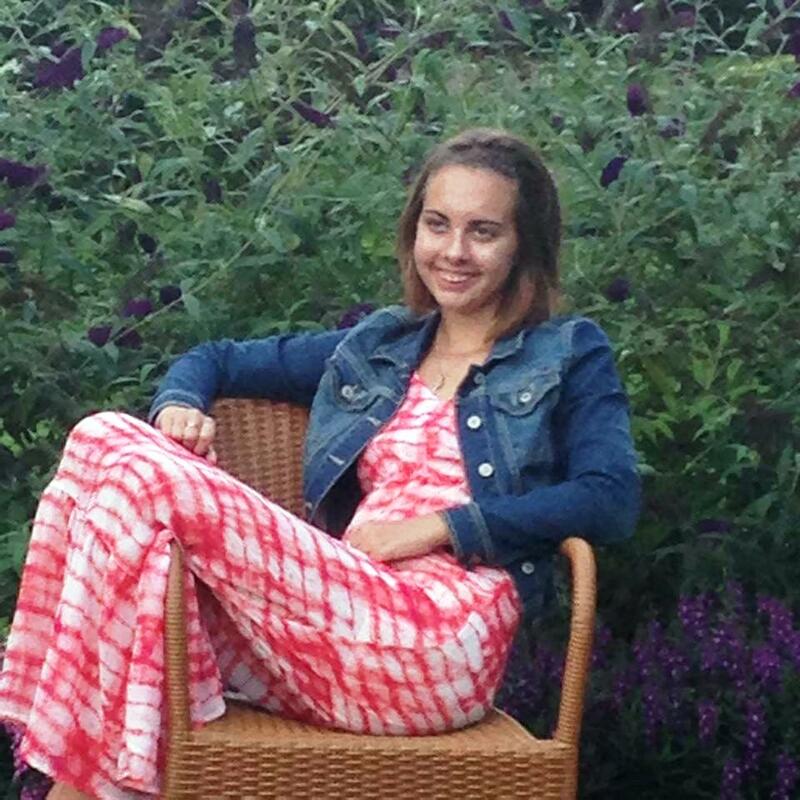 Haleigh was in her senior year of high school so it was already a special year in her young life. Plans for her future were being formed for her and by her. College and then a career in early child development. She loves children! Plans for the trip to Haiti were moving along. We chose to go with the Free Methodist General Conference Missions Trip in July. So on July 8 the team met in Orlando, Florida. Haleigh and I hadn’t traveled together to get to Orlando so we were happy to reunite when I arrived late on July 8. We were so excited to stay in a beautiful resort in Orlando. We met in the lobby and were given the keys to our room. We took the elevator up to the ninth floor, found our room and were so excited when we opened our door! “Oh look,” I exclaimed, “It’s a suite! It’s not just a room! What a lovely living room! Look at the nice bathroom!” Then we opened the door to the bedroom and switched the light on. “Oh…no!” Someone was sleeping in one of the beds!!! We were shocked! The person, a young woman, woke up, sat up, and said, “Oh, Haleigh, you have arrived!” What?! She was expecting Haleigh! What about me? Somehow there was a mix-up in the registration. I decided and insisted that I sleep on the sofa in living room, Haleigh slept in the second bed in the bedroom. Orientation meetings took place the next day. 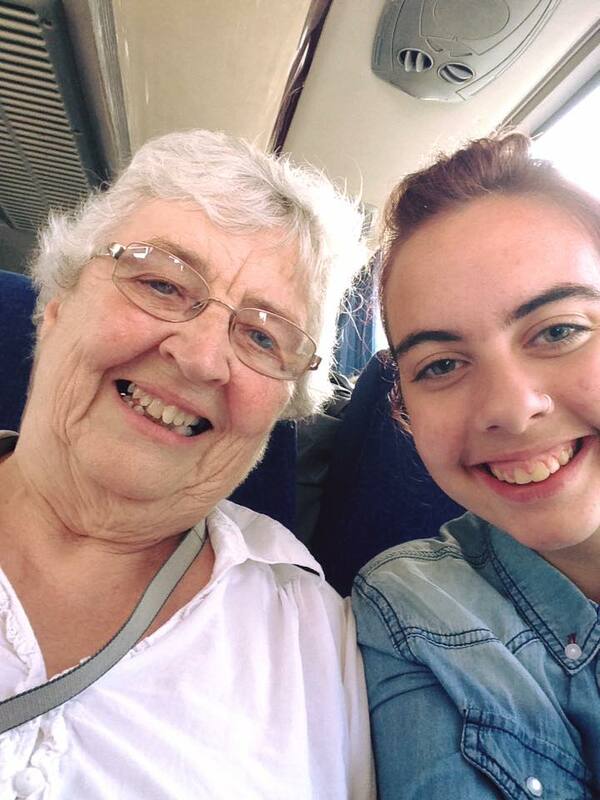 On July 10, 142 folks went by bus to Fort Lauderdale and then flew to Port-au-Prince, Haiti! We’d both been there before so we knew what to expect, however, neither of us had been there since the earthquake. 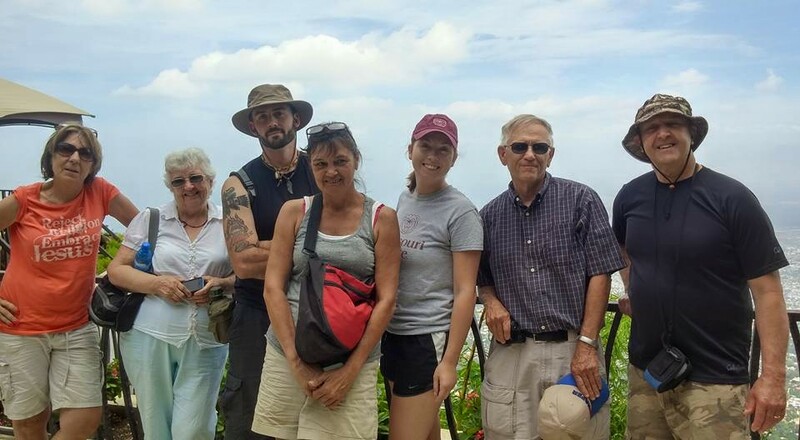 Many folks on this team had never been to Haiti before this trip. This was Haleigh’s first time to go as part of a work team. It was my third time to go with a work team. 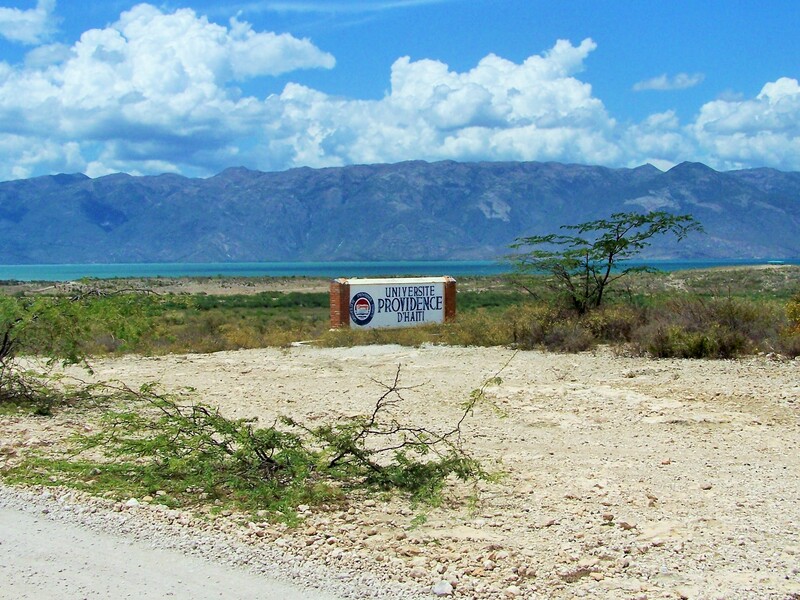 We went by bus to Providence University near Balan, Ganthier Province of Haiti . This is a new university and is still in progress. The men’s dorm. 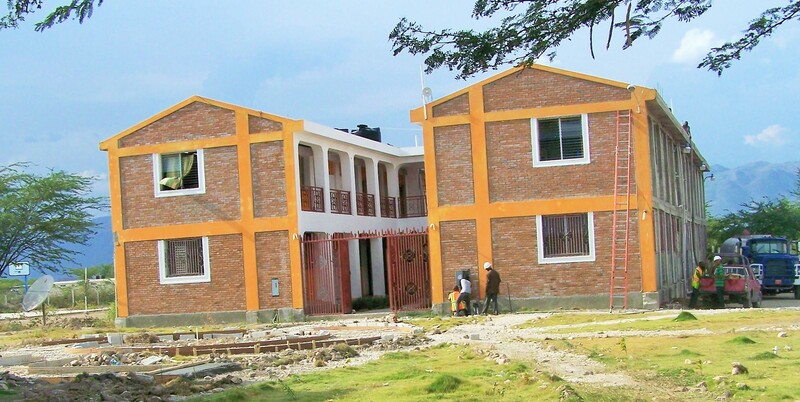 The women’s dorm. Meals were cooked and served by the Haitian staff in this pavilion. There were several projects for us to choose from for our share of work. 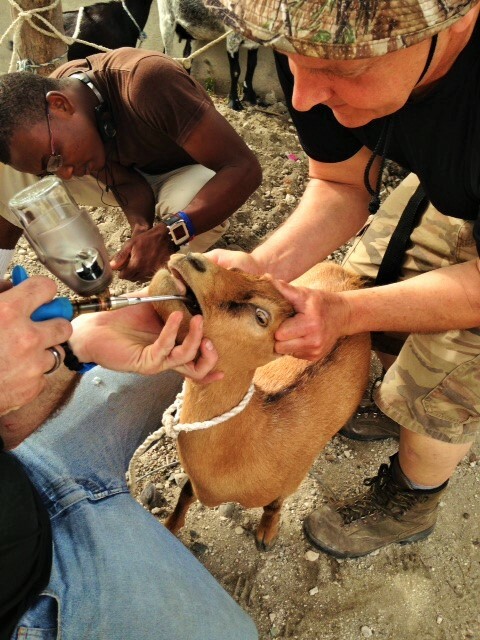 Eden: reforestation of trees; making desks; pouring cement; VBS; medical team, goat teams. Haleigh chose to work with children in VBS. She also cared for the children of women who had come to the medical clinic. I helped paint desk frames and then I joined a goat team. I left to go back to Port-au-Prince. So Haleigh and I had to say good-bye. We would meet again on the day we would leave to go back to Orlando, Florida. I knew she would be fine and friends would watch out for her. And they did. Haleigh actually blossomed. I’m so proud of her. Goat team #2. My new wonderful friends: Bonnie, me Lars, Linda, Ali, Marv, (sorry, I forgot the last one’s name.) 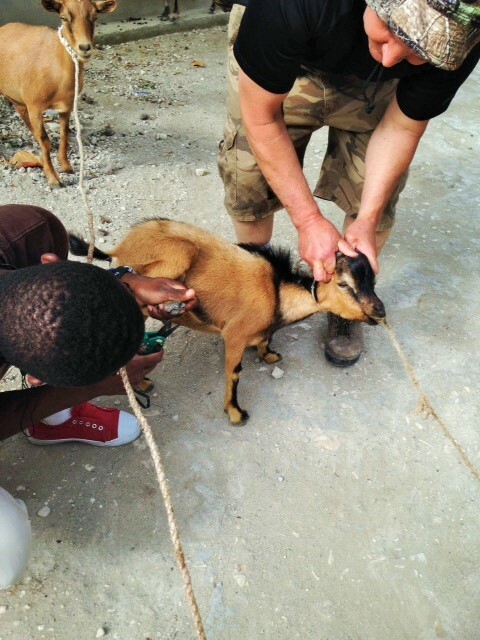 Goats, belonging to Free Methodist families were treated and hooves trimmed. We traveled into the mountains to remote villages where we had a church. Folks brought their goats to us. It was quite an experience! Haleigh loves children! 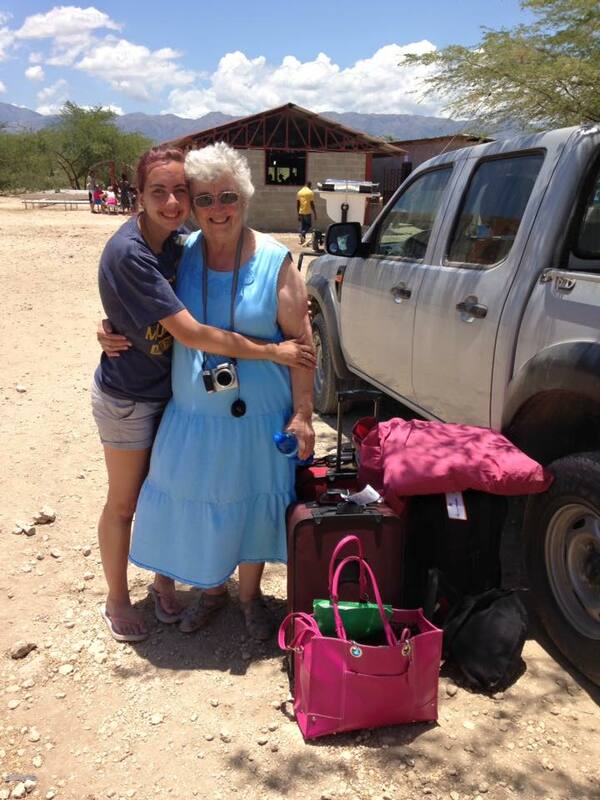 Besides working in VBS she helped care for the children of the many women who came to the health clinic. Haleigh sponsors a little boy in Haiti and was thrilled to get to meet him! This trip was a trip of a lifetime! We did it together but yet we were able to do our own thing. 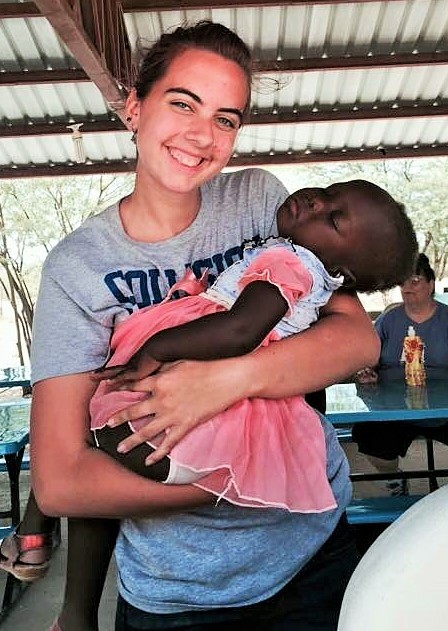 Haleigh blossomed as she worked and played with the children. We both made wonderful friends, Haitian and American. It was a trip and an experience for us that was meant to be! We both thank God for this trip of a lifetime! This entry was posted in Family, Goats, Grandchildren, Haiti, Haleigh, Me, Memories, Michigan, Port-au-Prince, Providence University, Reminiscing, Travel and tagged Children, Family, Friends, Goats, Grandchildren, Haiti, Haleigh, Me, Memories, Travel. Bookmark the permalink.